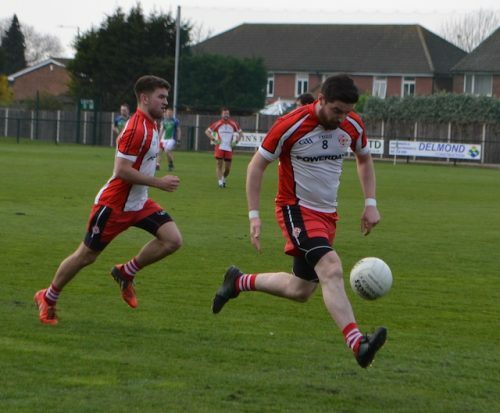 Early days, but Eire Og gave Tir Chonaill Gaels a harsh introduction to life in the intermediate championship, by dishing out a 19-point beating on Saturday. But for Rory Jennings, the margin might have been greater. 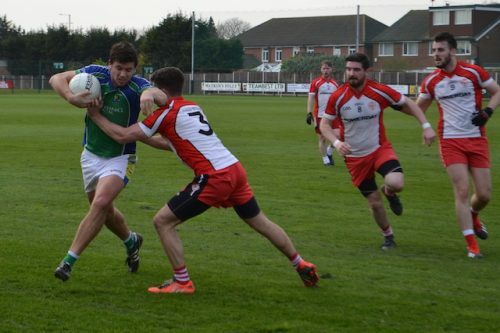 The Gaels’ centre forward was a bright spark on a tough afternoon for the club’s homegrown youngsters, who fielded just four starters from last year’s historic junior title victory. 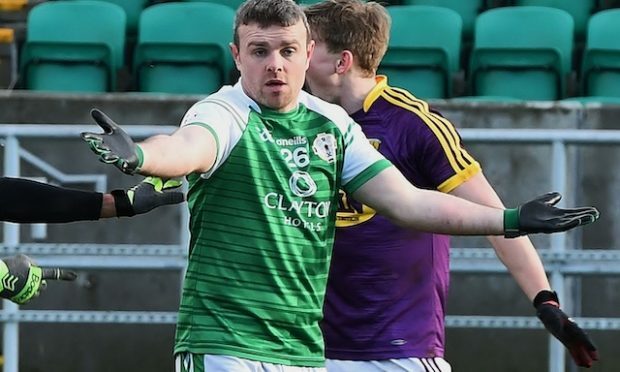 Brendan Rice, David Kennedy; Conor McCarthy and Ryan McGready all started last year’s junior championship final against Dulwich Harps, while Rory Jennings and Matt McHugh both came off the bench that day. 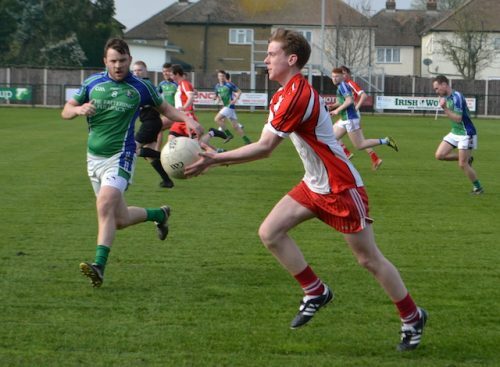 But take nothing away from the Finsbury Park club – Eire Og were mightily impressive, especially going forwards. They didn’t pull up too many trees in last year’s intermediate championship, but they could be dark horses this year on this evidence. Too soon to judge? Probably. But their movement and inter-play left the Gaels chasing shadows for much of the first half, and after just ten minutes the Greenford side were already trailing by 0-7 to no score. 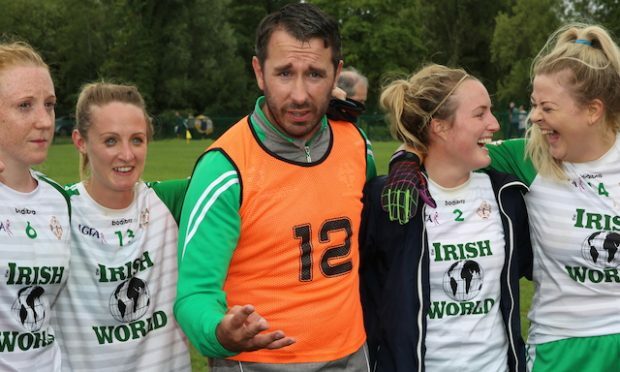 London hurler Richard Murphy pulled the strings, and he had plenty of willing runners. The new additions have certainly brought some energy with them. Daniel Roarty (Cloughnaneely, Donegal), John Coyle (Ballymoyle, Westmeath) and Ciaran McElhinney (Glengarriff, Cork) all impressed, as did Ger Crowley, who won a senior Waterford championship with Stradbally in 2017. Corner back Ronan O’Frail never missed an opportunity to bomb on, and Caolan Conroy and Jason Boles are stood out. The Gaels didn’t help themselves; too often they gave the ball away cheaply or were softly turned over. Eire Og, by contrast, were swift, direct and decisive. The opening goal came from Boles, after McElhinney’s clever off load. Coyle, who’d already knocked over some exquisite scores, then turned provider to set up McElhinney for Eire Og’s second goal, just seconds after Boles’ opener. McElhinney’s shot actually hit the post, before cannoning back and into the net off Calum Crowley, but you’d be hard pushed to attach any blame to Crowley, or take it away from McElhinney. We’d played 15 minutes and Eire Og led by 2-9 to 0-1. TCG’s problems were obvious, they couldn’t win a kick-out. Anything despatched down field by the boot of Crowley was invariably gobbled up by Eire Og, and Stephen O’Keeffe especially. 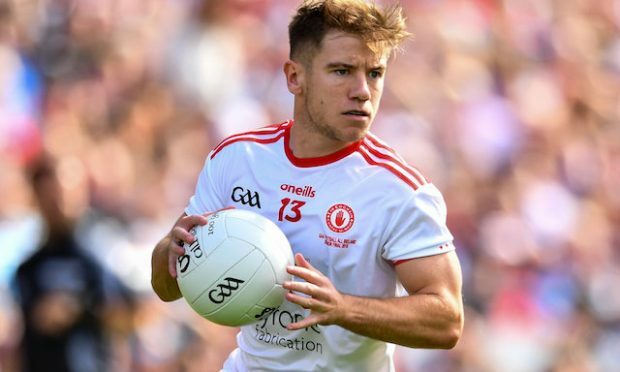 Caolan Conroy added Eire Og’s third goal just before half-time – McElhinney the provider – and it meant a 3-10 to 0-3 scoreline at half-time. 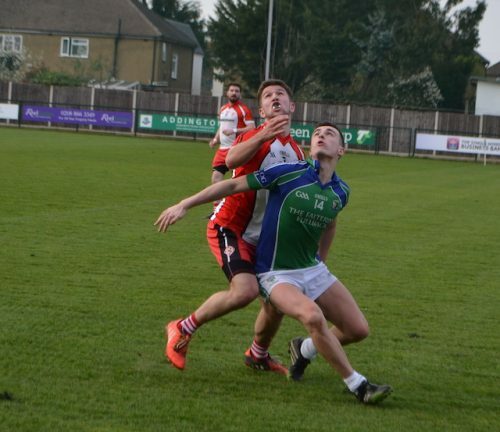 Brendan Rice’s challenge on Boles prevented a fourth goal, while Shane Leonard was unlucky to be denied at the other end, first by Daniel Moran and then the post. Conroy suffered likewise – denied by the post and then by Crowley. The bight spark for TCG was Jennings. His brilliant catch and run ended with a penalty, which the centre forward duly rifled into the top of the Eire Og net. 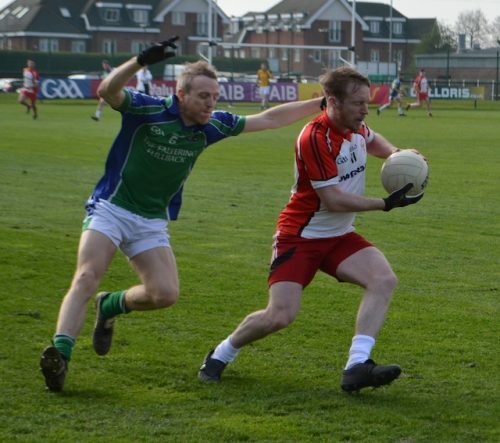 Eire Og would get goal number four – in injury time – as the impressive Boles finished well to the net. Within seconds, though, Jennings produced a similarly classy finish at the other end to well and truly mark himself out as one to watch this year in TCG ranks. Eire Og, though, could be very satisfied with their afternoon’s work. Eire Og: David Moran; Ronan O’Frail, Sean Brennan, Niall Murphy; Padraig O’Keeffe, Patrick Tobin, Tony Fagan; Stephen O’Keeffe, Ger Crowley (0-2); Daniel Roarty, Richard Murphy, Caolan Conroy (1-6, 2f); Ciaran McElhinney (1-2), Jason Boles (2-0), John Coyle (0-7). Subs: Ryan McCann for Niall Murphy, Joseph McMahon (0-1) for Roarty, Niall Murphy for O’Frail. Tir Chonaill Gaels: Calum Crowley; Billy Forsuvto, Brendan Rice, David Kennedy; Conor McCarthy, Ryan McGready, Ciaran O’Connor; Pat Flynn, Caomhin Cronin; Shane Gilsenan, Rory Jennings, Shane Leonard; Matt McHugh, Ronan Murphy, Luke Hanley. Subs: Steve McCarron for Hanley, Hanley for Kennedy.